Your list of things to see and do now includes Vieille Ville, Spas & Wellness, Musée des Beaux-Arts de Nice, and other attractions. Kick off your visit on the 20th (Fri): enjoy the sand and surf at Castel Plage, take some stellar pictures from Colline du Chateau overlook, then get outside with Sentier du Littoral, and finally listen to music at B Spot. On the 21st (Sat), you'll have a packed day of sightseeing: take a spin around town with Cyclopolitain Nice, take in the architecture and atmosphere at Eglise Notre-Dame-du-Perpetuel-Secours, see the grandeur of opera at Opera de Nice, then admire the local landmark of Fontaine du Soleil, then don't miss a visit to Place Massena, and finally tour the pleasant surroundings at Le Jardin Albert 1er. To find maps, photos, other places to visit, and more tourist information, go to the Nice online tour itinerary builder . Madrid, Spain to Nice is an approximately 5-hour combination of flight and train. You can also do a combination of flight and train; or drive. Traveling from Madrid in July, expect nights in Nice to be about the same, around 25°C, while days are slightly colder, around 32°C. Cap off your sightseeing on the 22nd (Sun) early enough to go by car to Cannes. 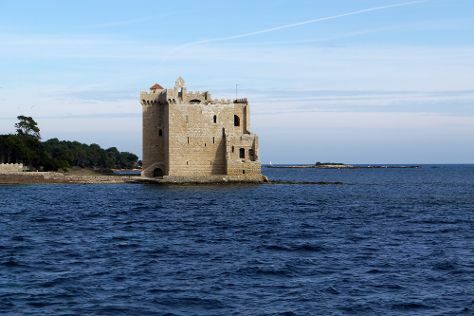 Your day-by-day itinerary now includes Lérins Islands as well as La Croisette. Kick off your visit on the 22nd (Sun): contemplate the long history of Musee Renoir, wander the streets of Rue d'Antibes, take a stroll through La Croisette, then head off the coast to Lérins Islands, and finally kick back and relax at Plage Robinson. Before you visit Cannes, use our trip planner to discover what you can do and see there. Cannes is very close to Nice. Traveling from Nice in July, expect little chillier with lows of 21°C in Cannes. Finish your sightseeing early on the 22nd (Sun) so you can drive to Saint-Tropez. Saint-Tropez is a town, 100km west of Nice, in the Var department of the Provence-Alpes-Côte d'Azur region of southeastern France. Your day-by-day itinerary now includes St. Tropez Harbor, Nikki Beach Saint-Tropez and Club 55. To find maps, other places to visit, ratings, and more tourist information, refer to the Saint-Tropez trip itinerary maker website . You can drive from Cannes to Saint-Tropez in 1.5 hours. Alternatively, you can do a combination of train and bus. Expect a bit warmer weather when traveling from Cannes in July: highs in Saint-Tropez hover around 38°C, while lows dip to 20°C. Finish up your sightseeing early on the 22nd (Sun) so you can go by car to Nice. You've added Musee Matisse, Passion Scuba Diving, Waterskiing & Jetskiing, and other attractions to your itinerary. Start off your visit on the 23rd (Mon): examine the collection at Musee Matisse, zoom along the surf with a waterskiing or jet-skiing adventure, then take a memorable tour with Passion Scuba Diving, and finally examine the collection at Musée Marc Chagall. 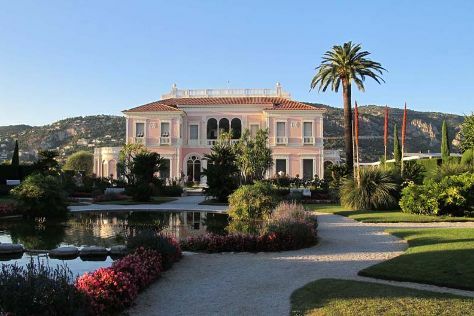 Get ready for a full day of sightseeing on the 24th (Tue): don't miss a visit to Citadel St. Elmo, enjoy the sand and surf at Paloma Beach, hike along Saint Jean-Cap-Ferrat Hike, then steep yourself in history at Villa & Jardins Ephrussi de Rothschild, then steep yourself in history at Villa Kerylos, and finally get to know the fascinating history of Promenade Le Corbusier. To see reviews, traveler tips, more things to do, and other tourist information, read our Nice travel planning site . Drive from Saint-Tropez to Nice in 1.5 hours. Alternatively, you can do a combination of bus and train; or take a bus. Traveling from Saint-Tropez in July, you will find days in Nice are a bit cooler (32°C), and nights are somewhat warmer (25°C). Finish up your sightseeing early on the 25th (Wed) so you can go by car to Cagnes-sur-Mer. Cagnes-sur-Mer is a picturesque French Riviera town known for its forests, pebble beaches, and seaside charm in the Alpes-Maritimes department in the Provence-Alpes-Côte d'Azur region in southeastern France. Your day-by-day itinerary now includes Chateau Grimaldi Musee d'Art Moderne Mediterraneen. For other places to visit, photos, maps, and more tourist information, go to the Cagnes-sur-Mer trip planner . Cagnes-sur-Mer is just a stone's throw from Nice. Expect a daytime high around 32°C in July, and nighttime lows around 24°C. 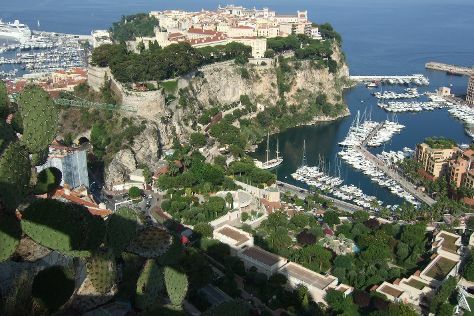 On the 25th (Wed), you'll have the morning to explore before heading off to Cap d'Ail. Your day-by-day itinerary now includes Mala Beach Coastal Path. To find out how to plan a trip to Cap d'Ail, use our trip itinerary maker. Getting from Cagnes-sur-Mer to Cap d'Ail by car takes about an hour. In July in Cap d'Ail, expect temperatures between 32°C during the day and 24°C at night. Finish your sightseeing early on the 25th (Wed) so you can travel to Monte-Carlo. To see ratings, other places to visit, and other tourist information, use the Monte-Carlo itinerary planner . Monte-Carlo is very close to Cap d'Ail. In July, daily temperatures in Monte-Carlo can reach 32°C, while at night they dip to 25°C. Finish up your sightseeing early on the 25th (Wed) so you can travel to Monte-Carlo. To find photos, traveler tips, more things to do, and tourist information, you can read our Monte-Carlo itinerary planner. Wrap up your sightseeing on the 25th (Wed) to allow time to take a train to Nice. For where to stay, maps, photos, and more tourist information, read our Nice day trip planning site . Nice is just a stone's throw from Monte-Carlo. You'll set off for home on the 26th (Thu).